Cirio in English National Ballet's "Manon." Photo by Laurent Liotardo, courtesy English National Ballet. Jeffrey Cirio's meteoric rise is what dreams are made of. A Pennsylvania native, he joined Boston Ballet in 2009 and quickly rose up the ranks to principal dancer by 2012. 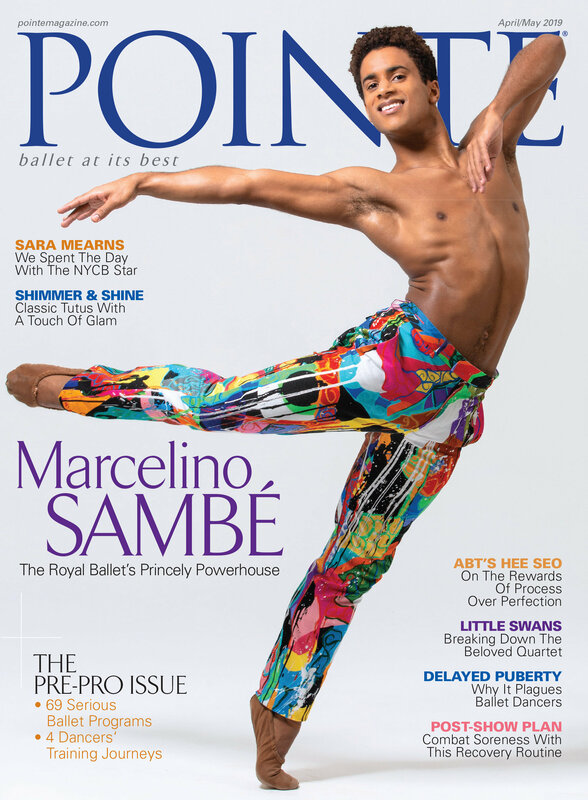 While he felt Boston was "home," he left to join American Ballet Theatre as a soloist in 2015, where he was promoted to principal after only one year. Now, after a four-month stint as a guest artist with English National Ballet last season, this all-American boy has joined the company as a full-time lead principal. It's hard to believe he's only 27. Just a day after his performance as Prince Siegfried in Swan Lake with Alina Cojocaru last month, Cirio sat down with Pointe to give an update on his new life living and working in London. Cirio and Joseph Caley in Sir Kenneth MacMillan's "Song of the Earth." Photo by Laurent Liotardo, courtesy ENB.